It was a very short stop in Chongqing. Made even shorter when we were out of the hotel again at 7:30am. The very early morning starts must have been hell on those who were not morning people. But there was a great advantage to early starts on our 4 weeks in China. We generally arrived at our excursions stops with little or no crowds ahead of us. 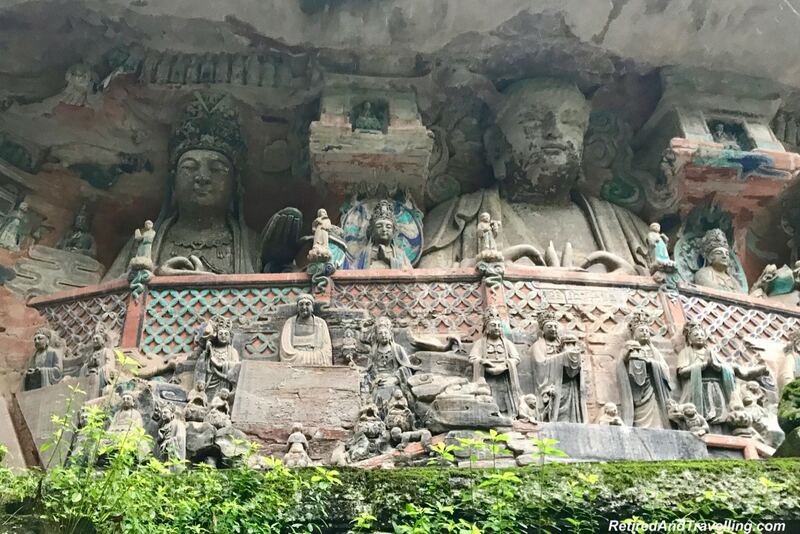 After a two hour drive, we arrived to see the Dazu stone carvings. We finished a quick lunch and got back on the bus for over three more hours. 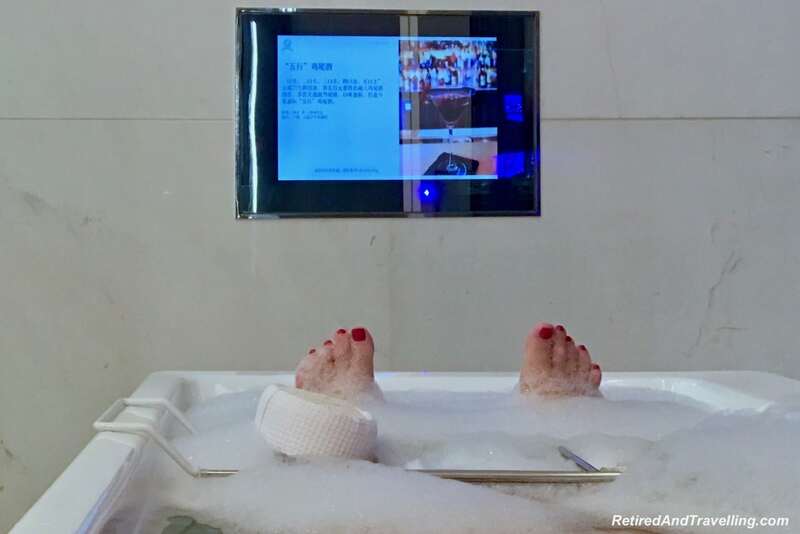 But when we arrived at the St Regis Chengdu, we found such an interesting variety of things to do in Chengdu. 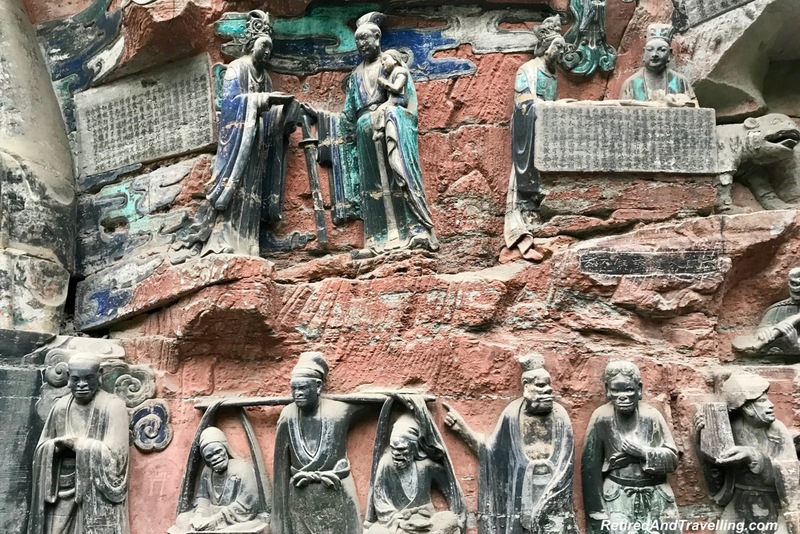 Our early morning rainy stop was to see the Dazu stone carvings. Our first view of the wall of stone carvings mesmerized us. Each stop along the wall told another tale. 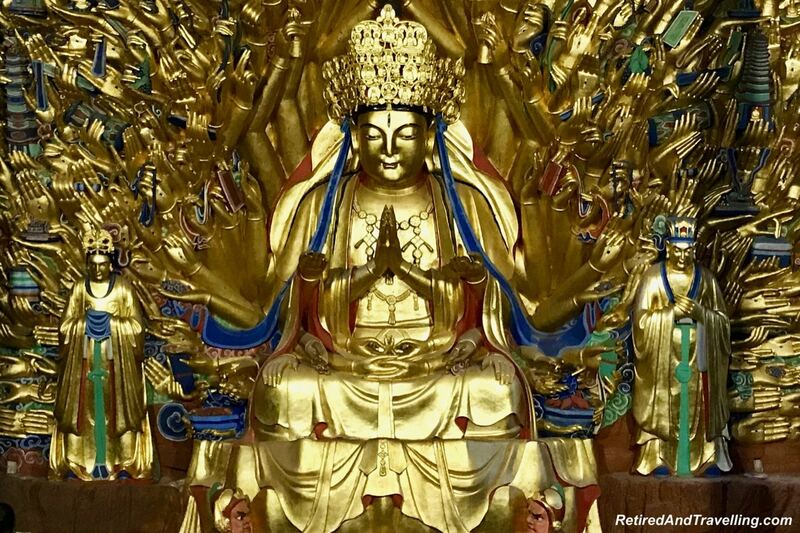 The giant golden hands buddha drew us into the temple. More walls of statues kept us going. Every turn in the this canyon provided yet another interesting set of carvings. 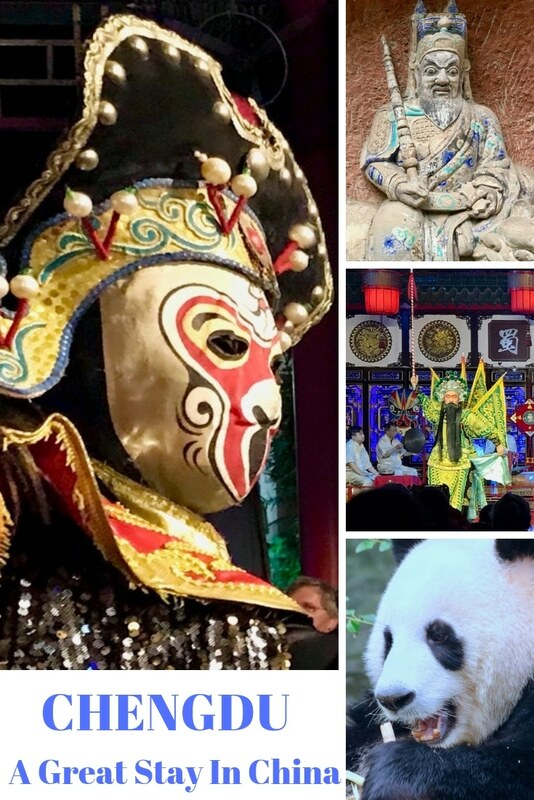 There is such a variety of things to do in Chengdu. 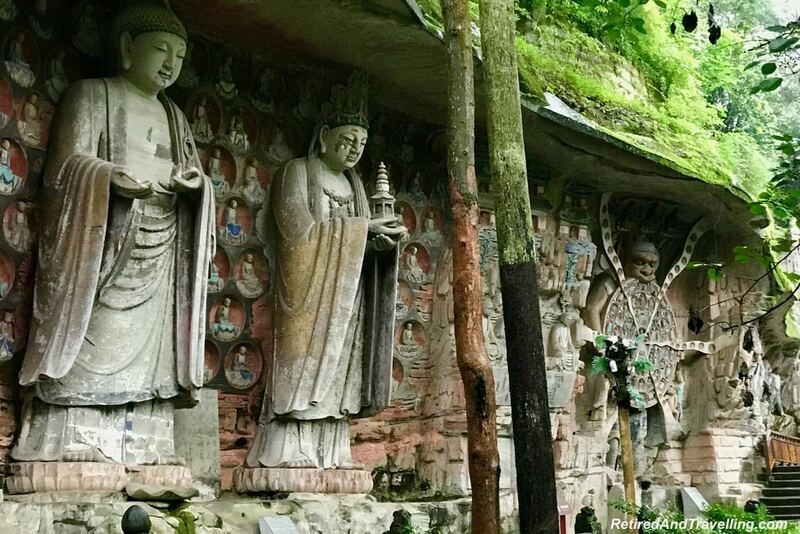 For a glimpse of the past, make sure to visit the Dazu stone carvings. 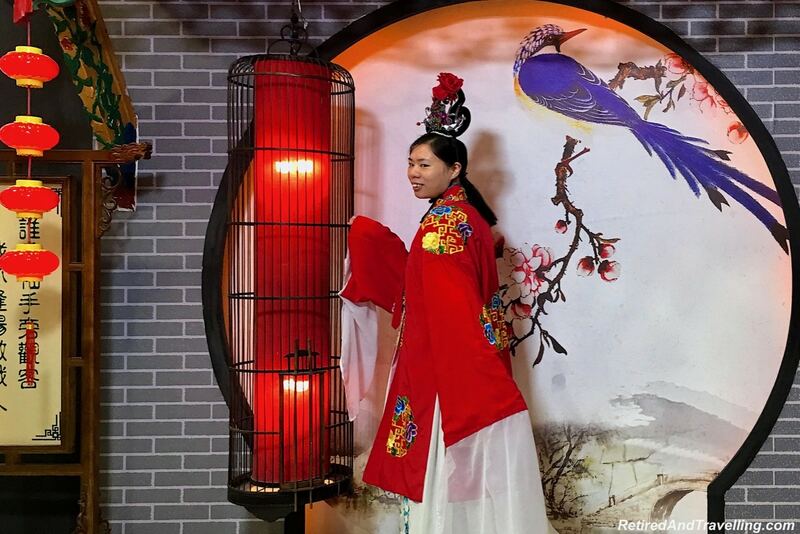 We got a short break to enjoy our wonderful world class experience at the St Regis in Chengdu before we headed out for our evening entertainment. 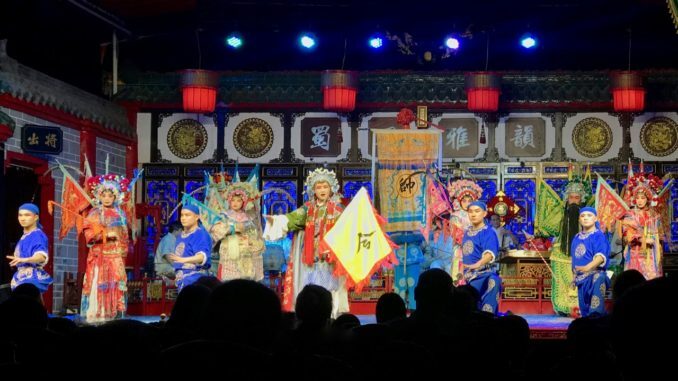 The buses took us to the Chinese Sichuan opera house. We arrived early and got to walk around where the performers were getting ready for the show. We saw the intricate process of putting on the faces for the show. Another corner contained some of the many set changes. And there was a nook of costumes and head pieces. This quick peek got us excited about the coming show. The stage opened up with the band on the stage. 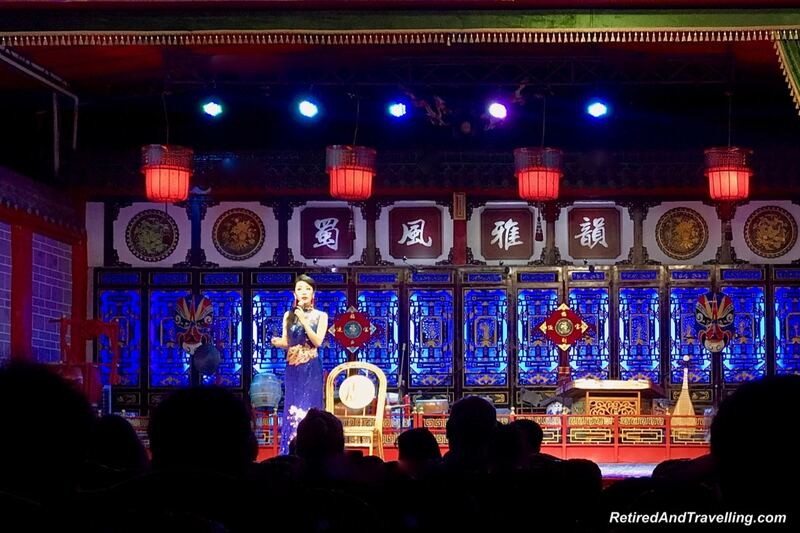 The master of ceremony introduced each act in a long Chinese description and a very short English phrase. When the Chinese guests laughed or hooted, we know the translation was not word for word. 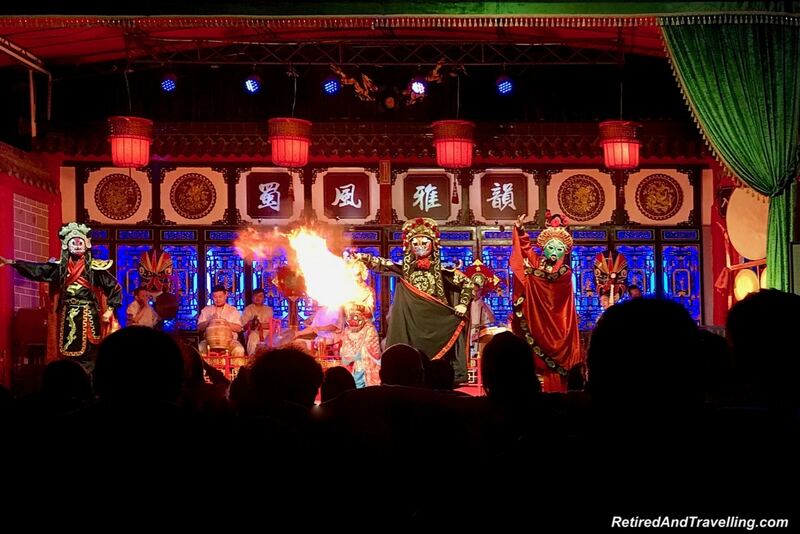 One of the interesting things to do in Chengdu is to take in a Chinese opera show. Even if we did miss out on some of the jokes and fun. We were treated to a number of different shows with intricate stories. It was a bit like watching Italian opera. We did not understand any of the words. But most of the time the story line was clear. The costumes were intricate and colourful. The stick puppet show went through fanciful story. 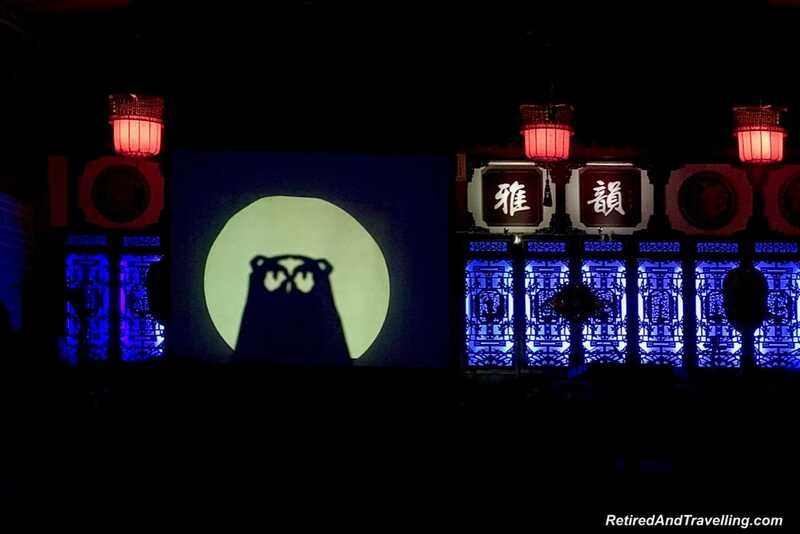 The woman who did the shadow puppets was quite amazing. Her hands and fingers created such a variety of shapes. The Chinese violin player kept us all entertained. The final act was the Changing Faces show. 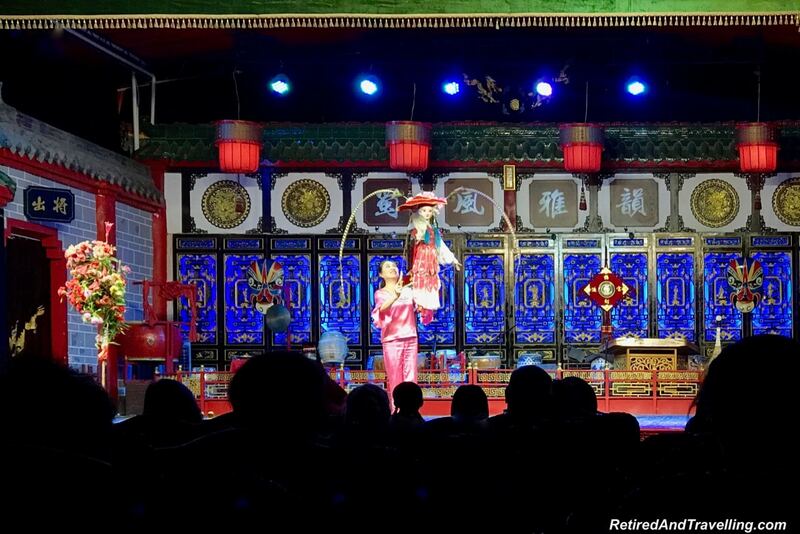 We first saw a similar show when we visited Spokane for the Chinese Lantern Festival. We were again held in rapt attention as the performers waved their arms and their faces changed before your eyes. 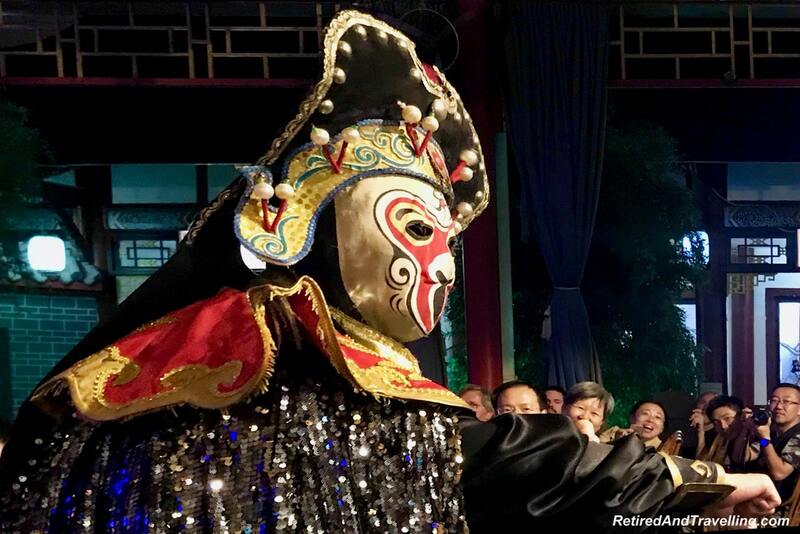 Even when one of the performers came into the audience, I could not really tell how the face changing was done. 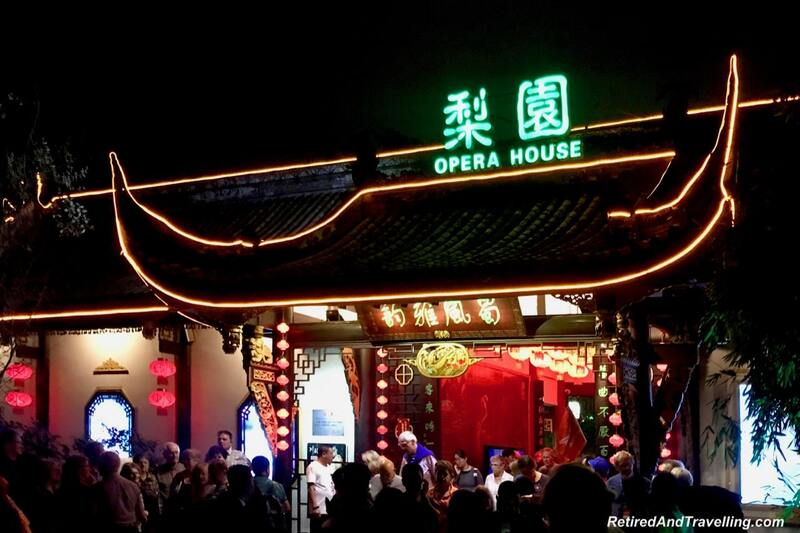 But it was a great way to end our evening at the Chinese opera. 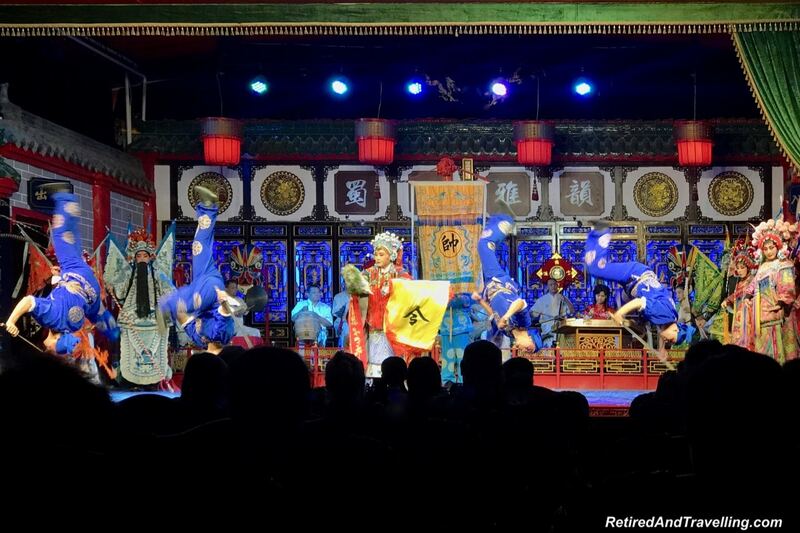 One of the fun things to do in Chengdu is to take in a Chinese opera show. There was such a great variety in the entertainment offered. It was another early start when we headed for an iconic Chinese treat before we left the Chengdu area. We could not visit Chengdu and miss the panda bears. Our guide made sure we traced a path through the panda bear enclosures that gave us the greatest views of panda bears. 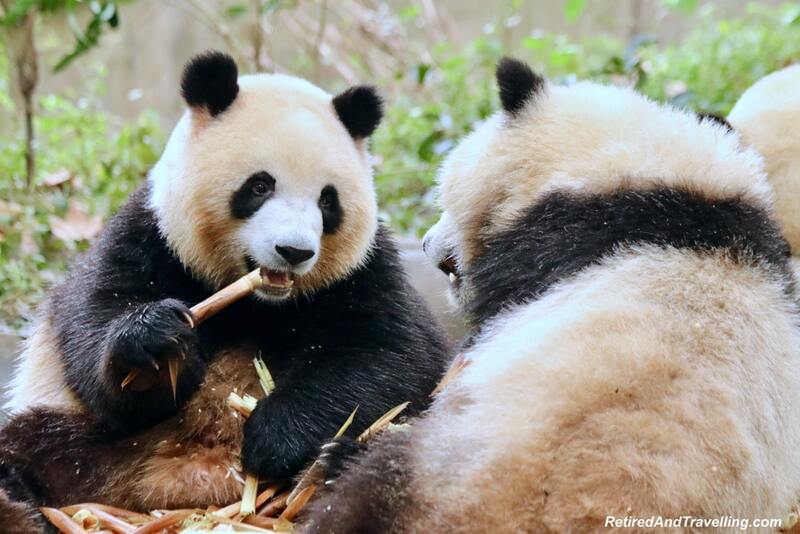 We certainly learned that the panda bears liked to eat bamboo shoots. We saw some younger panda bears at play. And we saw several baby panda bears that made us all oooh and ahhh. 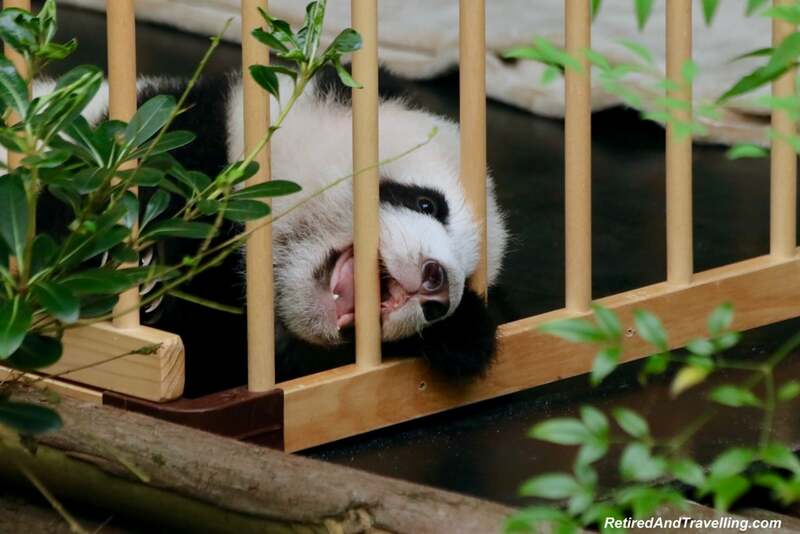 One of the greatest things to do in Chengdu is to visit the panda bear facility. We spent several hours to see such a variety. And we loved every minute. We were happy that our stop in Chengdu was for two nights. 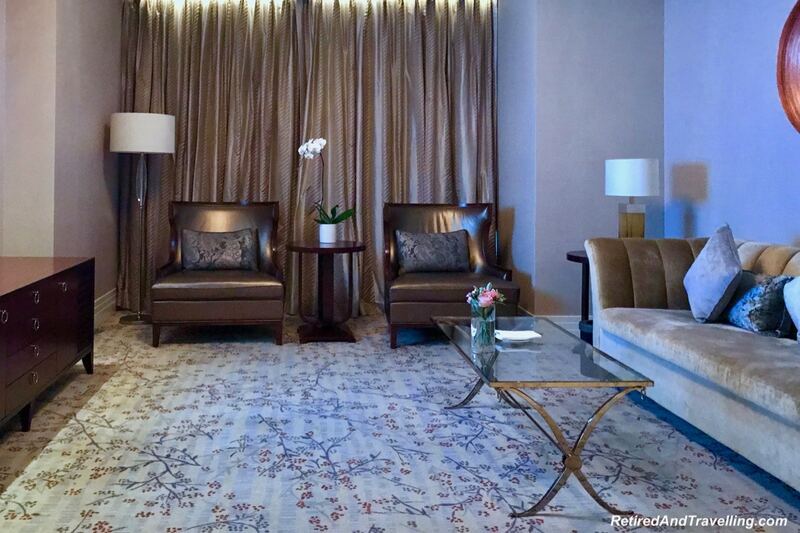 We were booked into the lovely St Regis Chengdu for another great five star experience. From the moment we arrived we knew this would be one of our more memorable stays. 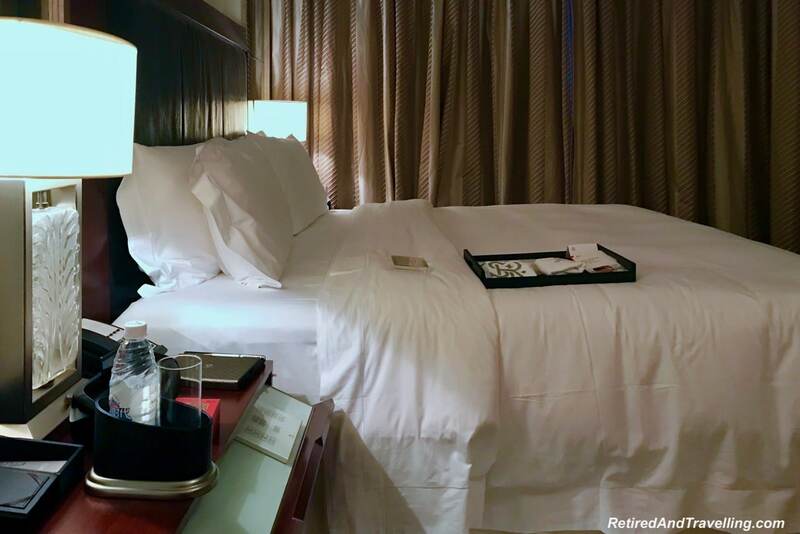 As part of our Marriott Rewards loyalty status, we got a warm and personal welcome with a massive suite upgrade! 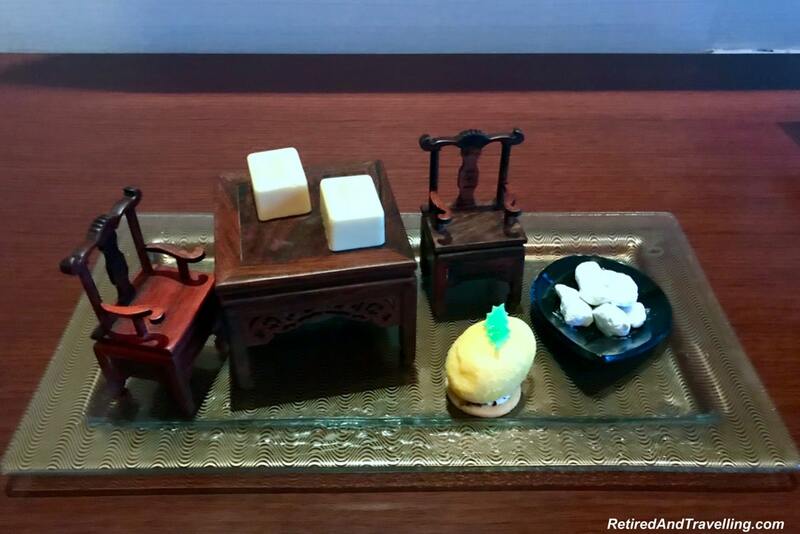 A treat was also waiting for us in our room. We got Executive Club access and enjoyed a happy hour drink to settle in when we arrived. Staff checked in regularly to ensure we had everything we needed. We wanted to enjoy our great accommodations and take a bit of a break. So we passed on the morning visit to the Sanxingdui Museum. It was great to not set an alarm for one day. When we got to our room on the last night, they brought a smile to our faces. 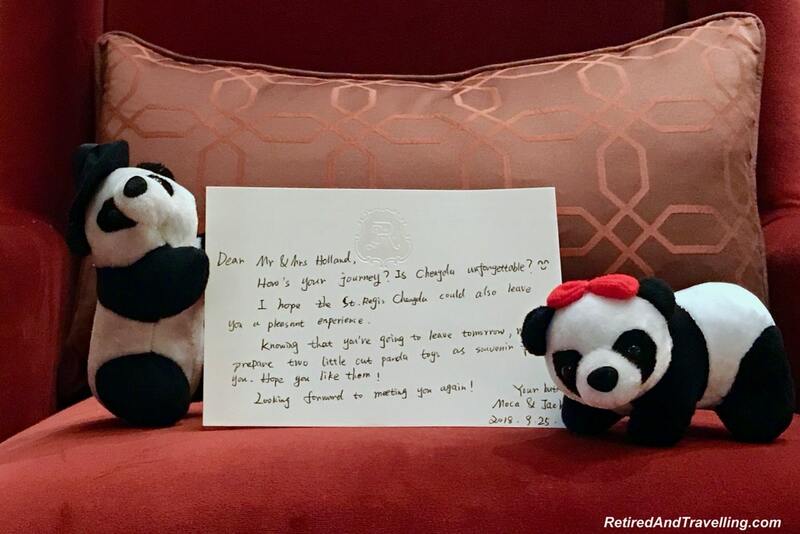 A pair of stuffed panda bears held a goodbye card. It was the perfect way to send us off on our panda bear visit the next day! 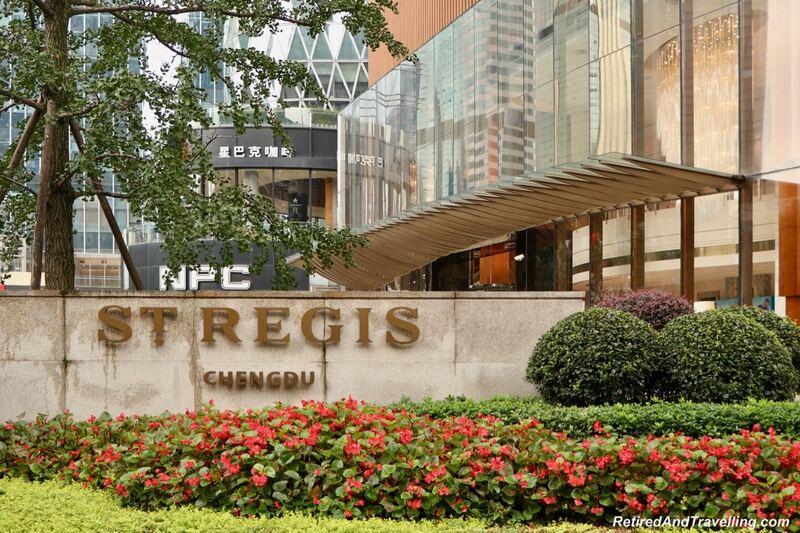 We wished we had far more time to enjoy the luxury and personal customer service at the St Regis Chengdu. 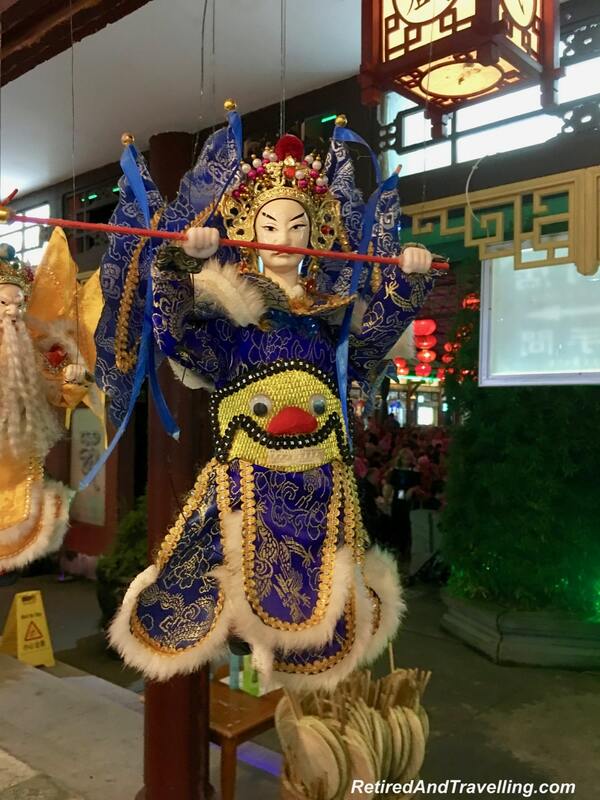 It was one of our favourite experiences amongst the variety of things to do in Chengdu we found. We had two nights but only one full day in Chengdu. But we also had amazing tours on the way in and out of Chengdu. The rock stone carvings at Dazu were such a contrast to the cute panda bears. We felt that this would be an ideal spot to use as a base to explore. 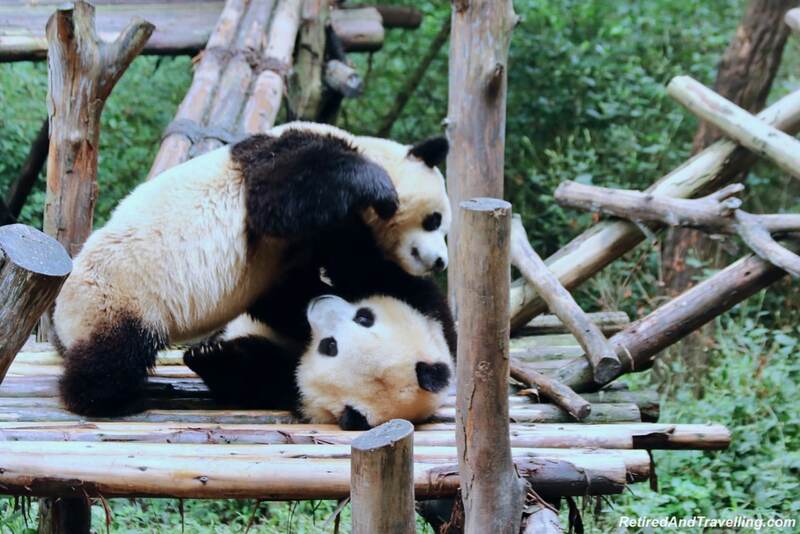 Even on a short stay, we certainly found a variety of things to do in Chengdu. From Chengdu we headed to our next stop in Xian on our visit to China for 4 weeks. 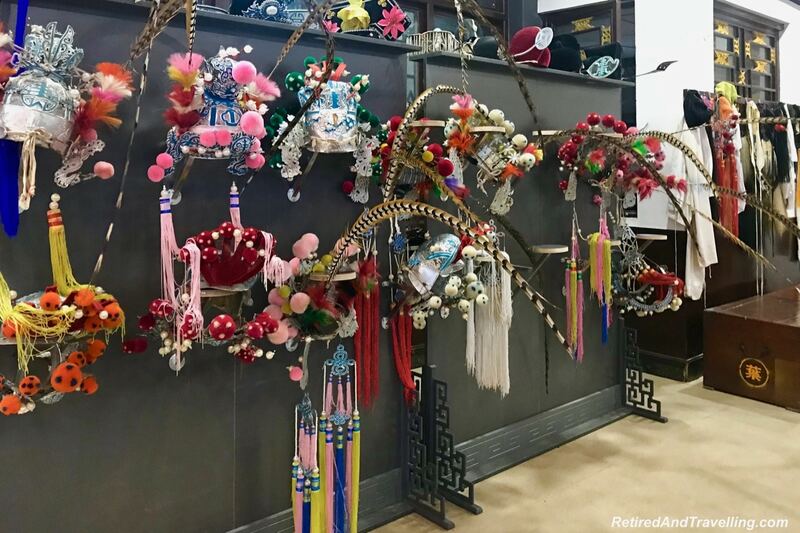 What was the favourite of your things to do in Chengdu? What amazing experiences you had there! 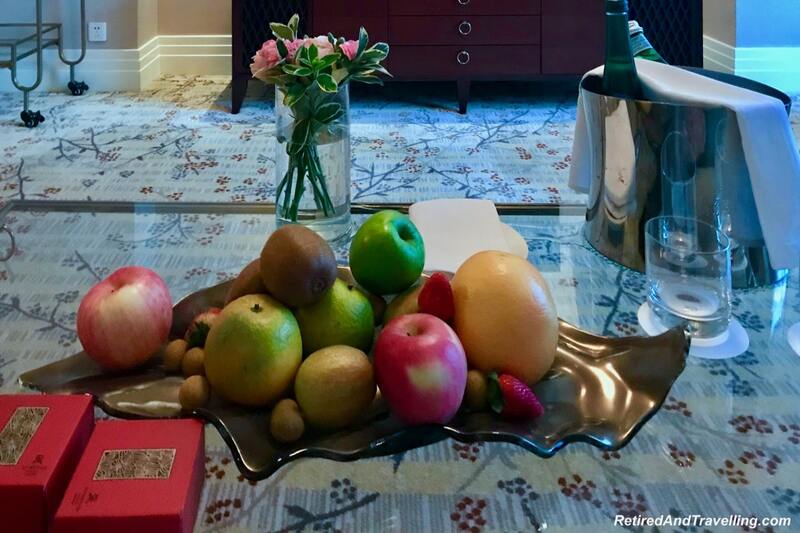 Beautiful photos 😀 I love my Marriott perks too! I would love to check out Chengdu (even though I have never heard of the place despite going to China few itmes in the last few years). Would love to check out those carvings, they look totally amazing. 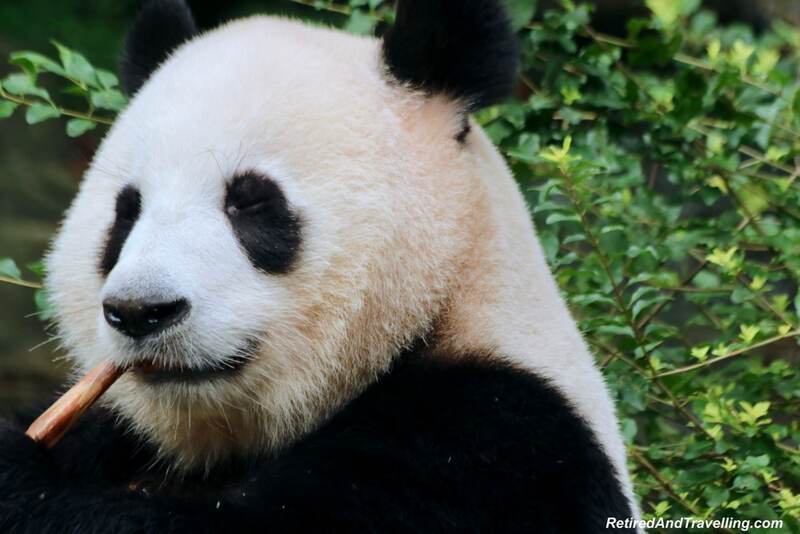 And those Pandas – so cute! 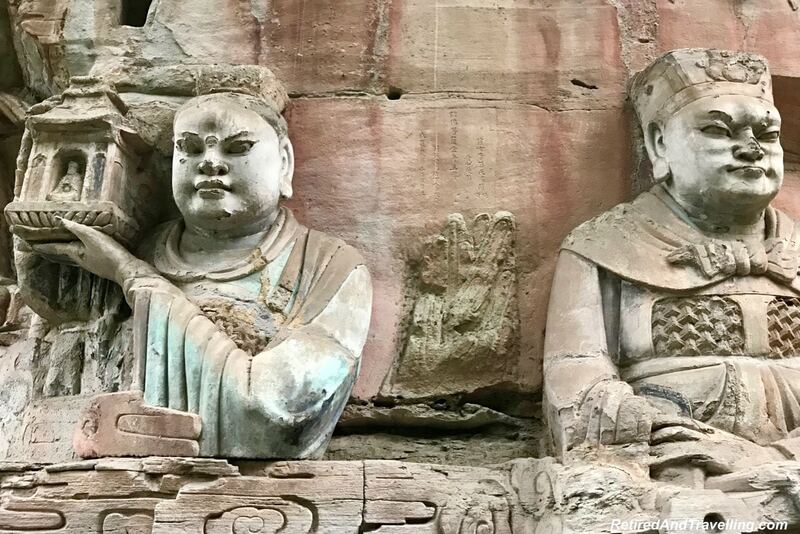 Dazu Stone Carvings was new to me too. Makes me understand China is not just the great wall. I am impressed by the artists. I really want to see them all some day. The hotel is indeed a good one. What a lovely experience. I would love to see the brawling pandas. And those faces too on the rock! Some wildlife and some bit of heritage. Chengdu just got better for me. What an immersive cultural experience! Loved how the trip focused on historical and cultural aspects rather than usual touristy stuff. 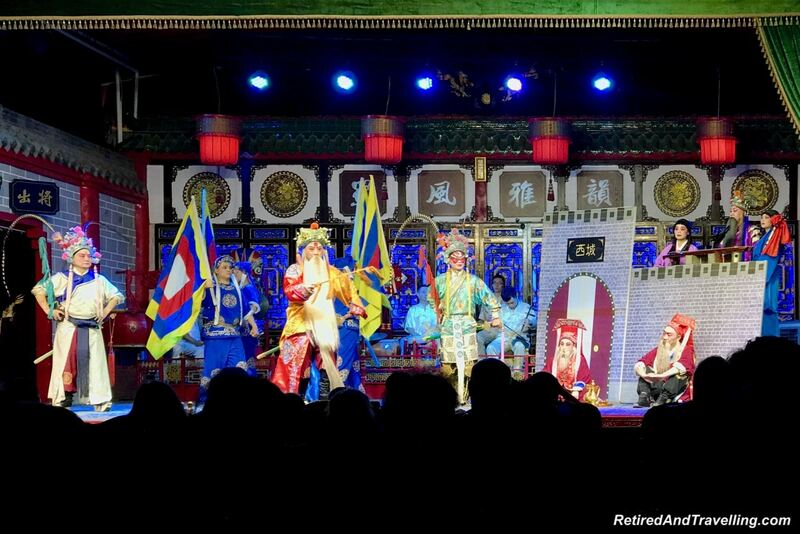 Chinese opera is so colourful! I have never considered visiting China, though I am really intrigued by their culture. 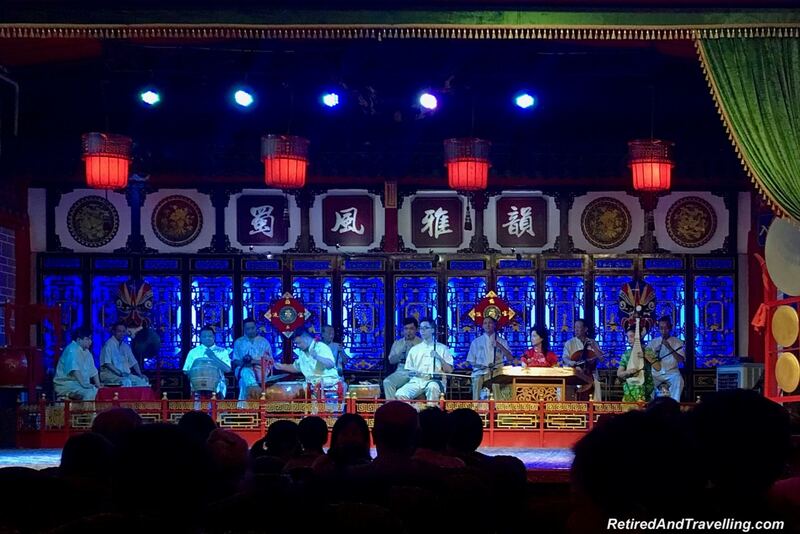 The Dazu Stone Carvings look really nice, as does the cultural night experience. But my favourite part would be to see Pandas. Not sure, however, that I like seeing animals in captivity. 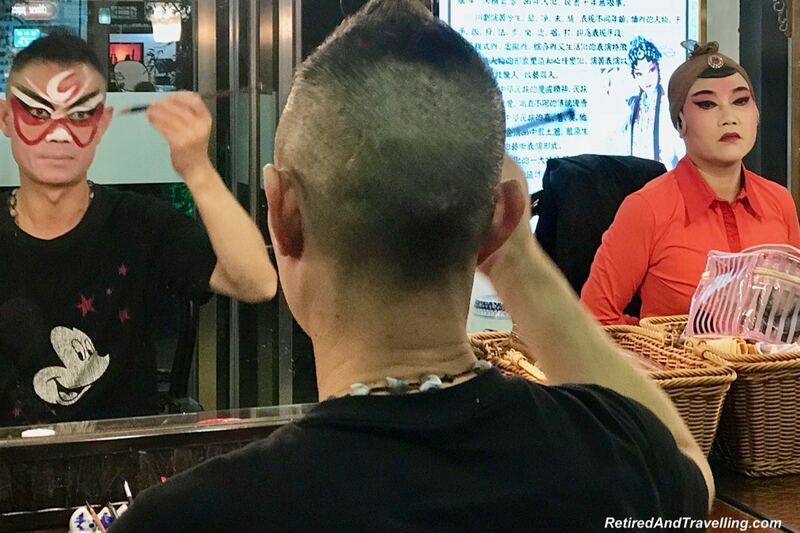 Looks like Chengdu has really been treating the two of you so well! St.Regis, I would never want to leave!